Unfortunately, many of the medical malpractice cases we see involve a doctor’s error in finding out what is wrong with the patient. This is usually a missed diagnosis or a complete failure to diagnose a particular symptom or disease. As the patient, when you go to see a doctor or go to a hospital, you are at their mercy. You depend on them – after all, it is your life that is on the line. You are putting your faith in their ability to tell you what is wrong and fix it. When a doctor or hospital engages in a misdiagnosis, or incorrect diagnosis, or misses the problem altogether, the patient can be lead down the wrong treatment path, which can cause a whole host of problems. That wrong path can include improper treatment, delayed treatment, worsened condition, heart problems, pulmonary embolisms (lung, breathing problems), infections, and other life-threatening complications. 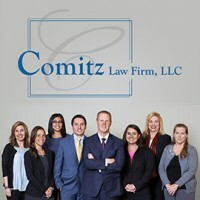 Since 2003, Attorney Jonathan Comitz has been handling complex medical malpractice cases, many of which include cases where the victims have suffered or worsened. If you or a loved one has suffered as a result of a missed diagnosis or a misdiagnosis, please call our office today at (570) 829-1111 and make an appointment to speak with Attorney Comitz, who will personally review and handle your case.